A fun decal for those that love to decorate their home with a creative design. A superb sticker from our collection of family and friends quotes. Tired of having empty walls? Want to change the atmosphere at home into a fun one? If yes, you have found the ideal text sticker that will give your place a new and fresh appearance. You can apply this decal on any smooth surface. Not convinced? Check our the rest of our funny wall stickers! 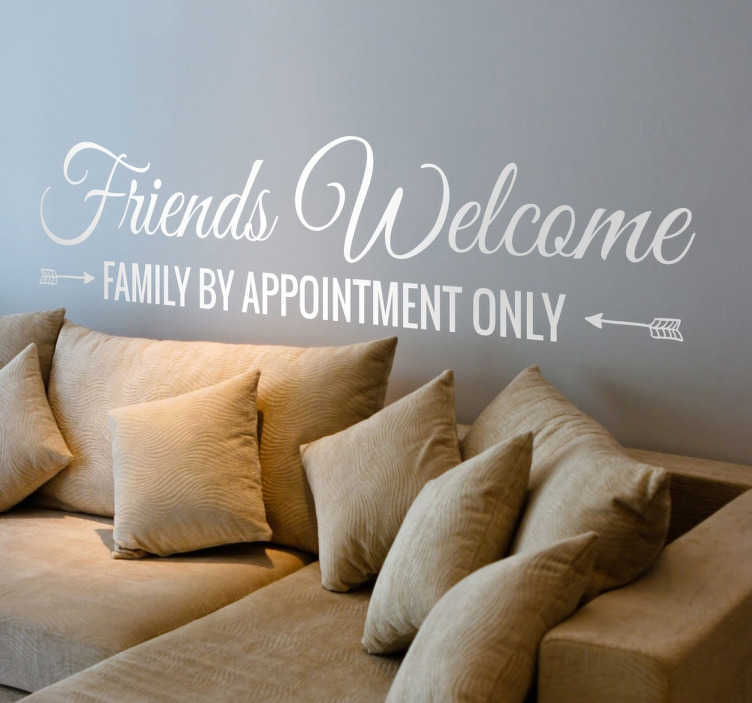 This Friends Welcome decal is easy to apply and remove. It leaves no residue upon removal. Available in various colours and sizes.